Cutting Edges: Israeli fashion and Design. In this boundless world of online retail and fast-fashion, is a localized identity still relevant? Is it still significant to the creative process? What place does it have, if any, in current global fashion? This exhibition aims to confront these questions by examining the relationship between locality and materiality. 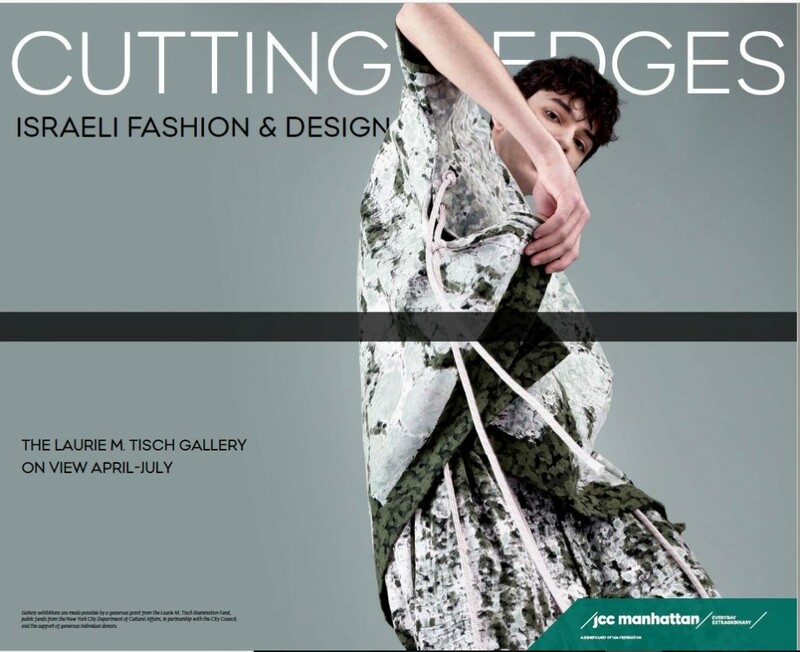 It is the first exhibition in the US to focus solely on Israeli fashion design, featuring more than sixty objects including garments, avant-garde jewelry, fashion accessories, and textile art from thirty contemporary designers working in Israel and abroad. The majority of objects were commissioned specifically for the exhibition and reflect the unique DNA of each designer.The thematic groupings of the objects illustrate that Israeli designers, consciously or not, draw from a shared pool of inspiration regardless of the medium in which they work. What’s Under Your Pareo? Unravelling the Work of Lea Gottlieb. 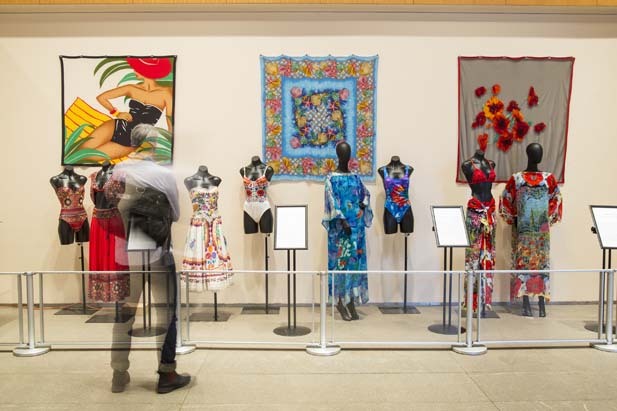 The exhibition, based on my original MA thesis paper, invites visitors to go on a journey through the fantastical world of fashion designer Lea Gottlieb (1918-2012). 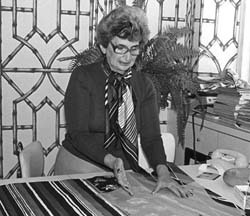 Her artistic approach and unique creative process revolutionized swimwear design and placed her company Gottex at the pinnacle of the international luxury market. The exhibition features extant garments and bathing suits, textiles, original sketches, and archival prints which showcase the dazzlingly rich visual vocabulary that became her hallmark in a career spanning over half a century. Forward – What’s Under Your Fashion Exhibit? 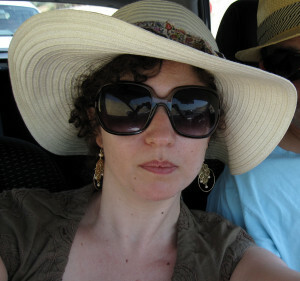 The Lady with the Daisies: A Tribute to Lea Gottlieb. A retrospective exhibition dedicated to the work of Lea Gottlieb, co-founder of Gottex, an international leader in swimwear design based in Israel. The extensive research I have conducted for my MA thesis paper “What’s Under Your Pareo: Unravelling the History of Gottex Beachwear,” provided the curator Ayala Raz and myself the basis on which this exhibition was organized. The exhibition includes stunning examples from Gottex’s hay-day during the 1990s and showcases Lea Gottlieb’s unique design methods. Boots: The Height of Fashion. 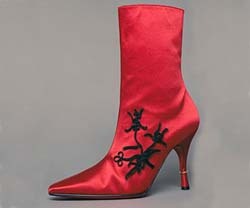 The show, curated by the graduate students, is the first exhibition at MFIT to focus exclusively on women’s boots. It showcases the museum’s extensive collection of footwear and features 20 pairs of women’s boots by some of the most innovative modern designers, including Paul Poiret, Martin Margiela, and Christian Louboutin. 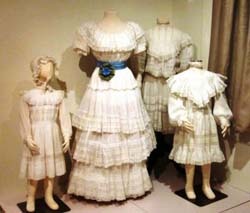 Summer Afternoon: Fashion and Leisure in the Hudson Highlands, 1850–1950.